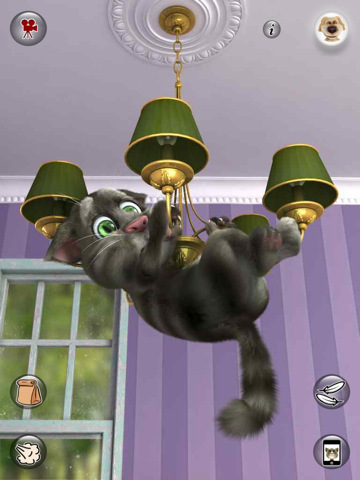 Talking Tom Cat 2 for iPad - Tom is back with an all new adventure! 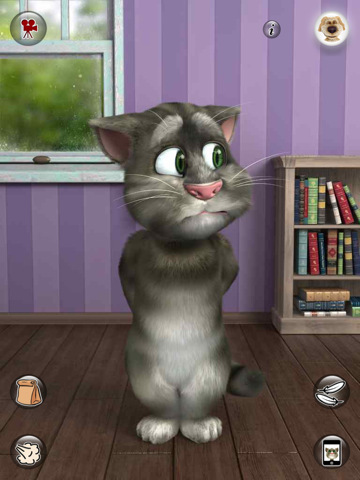 Tom is your cat that responds to your touch and repeats everything you say in a funny voice. 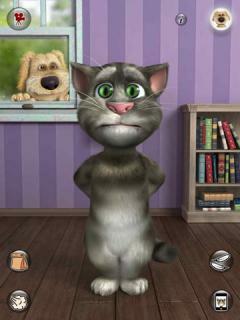 · Talk to Tom and he will repeat everything you say with a funny voice. · Pet Tom's belly or head and make him purr. · Poke his head, belly or feet. · Slap Tom's face left and right. · Pull or touch his tail. 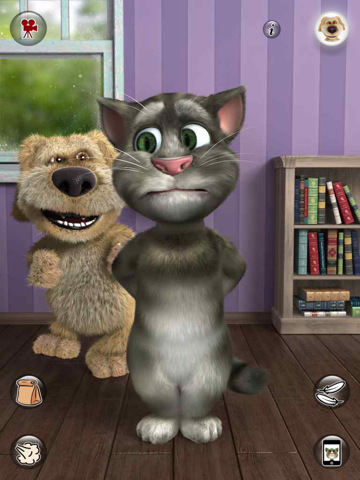 · Press the fart button to see Ben fart and Tom grab his nose in disgust. After that Tom repeats what you say with his nose closed for a while. · Press the bag button to make Ben pop a paper bag and scare Tom. It's hilarious. 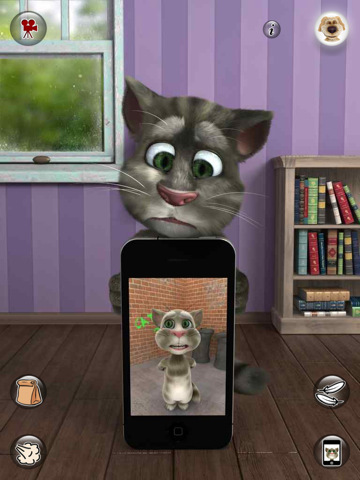 · Press the phone button to make Tom play with the original Talking Tom app and repeat after himself in a funny loop. · Press the feathers button to see Ben hit Tom with a pillow. · Record videos of Tom and share them on YouTube, Facebook or send them by email. · Best YouTube videos uploaded by users. Upvote videos you like or downvote videos you hate. Just press the green video button to see the videos. · Several bugs are now fixed. · We added a new button. When you press it, Tom pulls random items from behind his back.